– The many facilities which the Centre has. The Centre is now open again for the 2019 season, please come and join us for a cuppa, tray bake and a play in the park for the kids. You can also learn about the local heritage and the works of Lewis Grassic Gibbon in the exhibition. We look forward to seeing you during the year. As always, keep your eyes on our events page for the coming year with some annual events and new one offs. 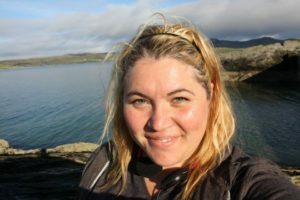 Emma Rose Miller, based in the USA, has joined us to author our new Blog. Please see her most recent posts here. The Official Website for the Scottish Author Lewis Grassic Gibbon. The Grassic Gibbon Centre celebrates the life, work and times of James Leslie Mitchell, the novelist of the Mearns, better known by his pen name Lewis Grassic Gibbon. 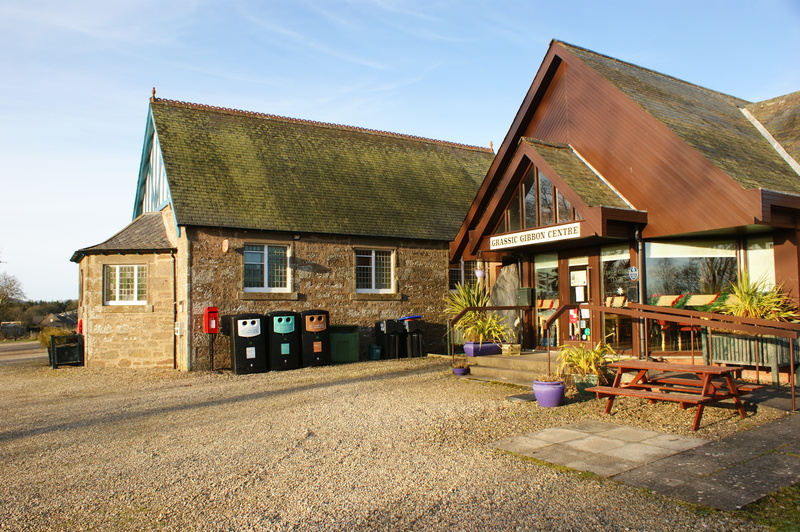 It sits in the very heart of the beautiful Mearns countryside, the spiritual home of Lewis Grassic Gibbon. Literary Lights Prize For Creative Writing 2019. 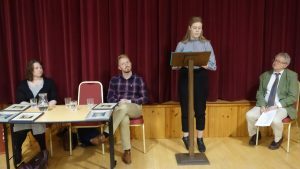 The third annual Grassic Gibbon Centre Literary Lights prize for creative writing run in collaboration with the University of Aberdeen is currently under way. Open to all students of Aberdeen University. 2018 Winner, Ashleigh Angus, reads out her winning entry to an enthralled audience. Sunset Song, his best loved novel, is set in the Mearns around the Centre and was a success right from its first publication in 1932. 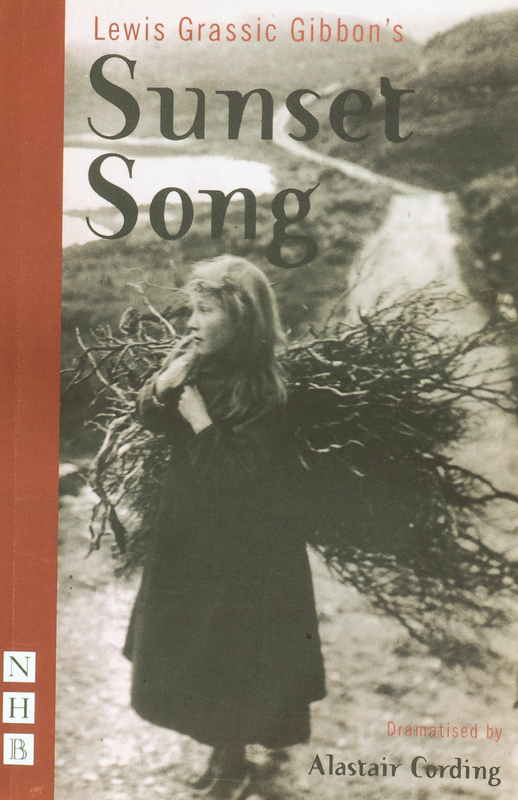 Today, after adaptations for TV, radio, theatre and music, it remains one of the most popular of all Scottish stories. The Centre is a purpose-built, bright, attractive building adjoining Arbuthnott Hall and is run by a voluntary board of directors on behalf of the local community on an entirely not-for-profit basis. Admission is free with a small charge only for the exhibition area. We’ve added a page on our site for the Arbuthnott Community Council. Here you’ll find information on the Councillors, their activities and the the meeting minutes.